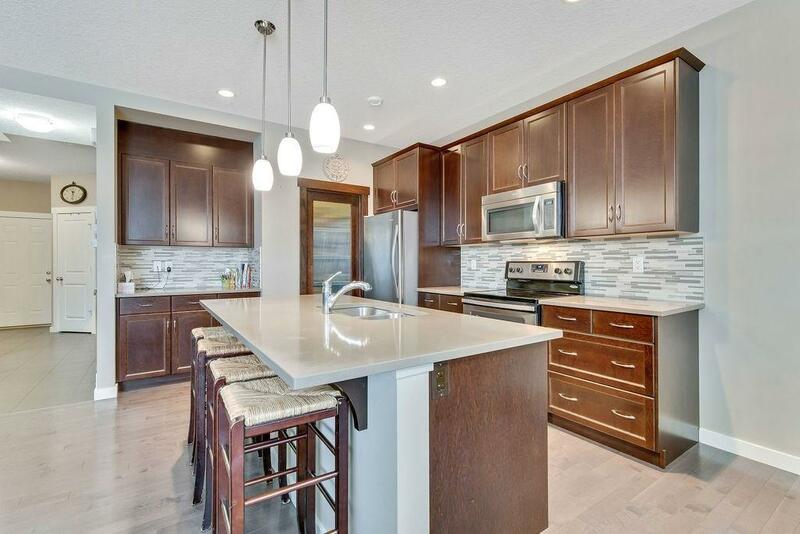 Beautiful family home with over 2027 sqft of developed living space in the desirable community of Sunset Ridge. This home has been immaculatelymaintained & boasts a spacious floor plan, great features throughout & is in an excellent location close to the pond, park, school, walking paths &more. 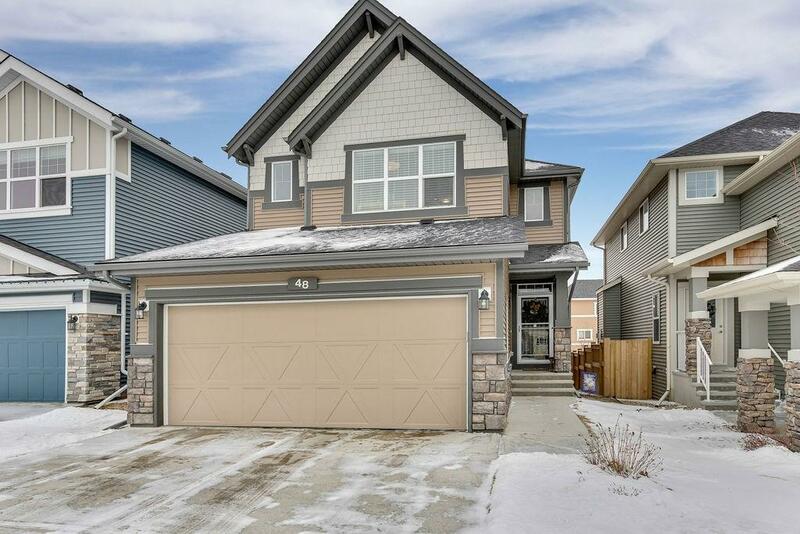 The floor plan is functional & spacious with a welcoming foyer, open living room w/a cozy gas fireplace, main floor office or 4th bedroom & agorgeous kitchen featuring SS appliances, quartz countertops, a walk-in pantry, huge island & more. Upstairs is a massive bonus room w/vaultedceilings a& a dream-like master retreat featuring a huge walk-in closet & en-suite w/his & hers sinks, soaker tub, walk-in shower & more. Twoadditional great-sized bedrooms, upstairs laundry & a 4 pc bath complete the upper level. 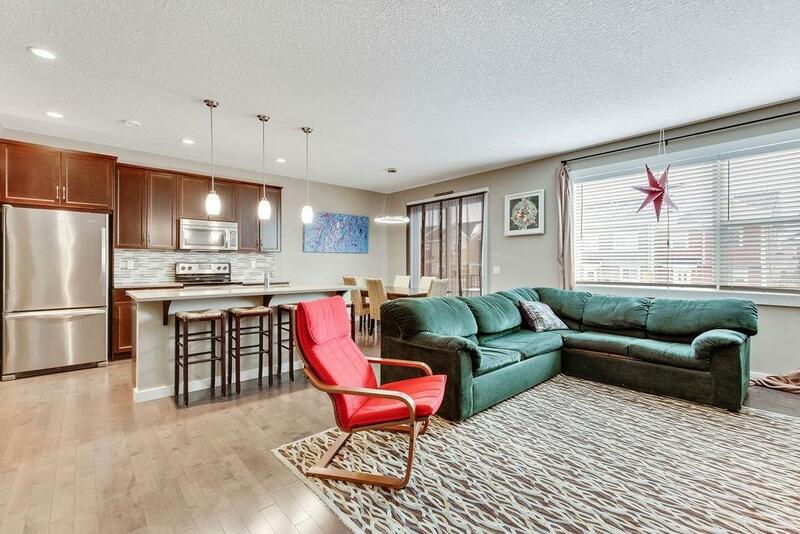 The basement is undeveloped with a great layout &awaiting your personal touch. Great features incl. 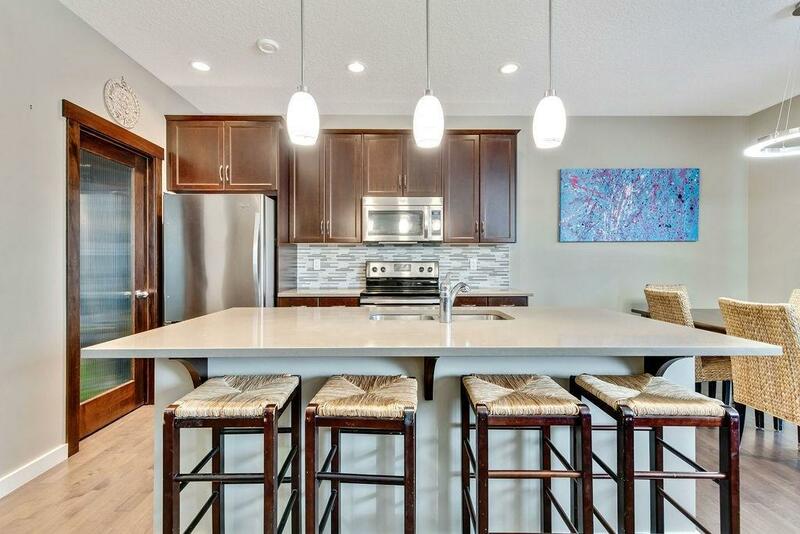 hardwood flooring, large landscaped yard, tons of natural light, 9ft ceilings - the list goes on! Listing provided courtesy of Spark Real Estate. © 2019 CREB®. All Rights Reserved.